Dubai: Ending all speculation on who could be in the final 15, the Team India squad for the ICC Cricket World Cup 2019 was announced by chief selector MSK Prasad from the Board of Control for Cricket in India (BCCI) Head Quarters in Mumbai on Monday. It ended the debate over whether it would be young and promising wicketkeeper Rishabh Pant or experienced Dinesh Karthik who got the nod. The selectors finally went with Karthik. The deliberation over who should be at the No. 4 slot concluded with Vijay Shankar winning the place ahead of many candidates such as Ambati Rayudu, Shreyas Iyer and Manish Pandey. To have a squad which can be strong in all departments of the game was the agenda of the Indian selection committee. The pace bowlers were an automatic selection as Jasprit Bumrah, Mohammed Shami and Bhuvneshwar Kumar have been performing consistently for India. The two wrist spinners Yuzvendra Chahal and Kuldeep Yadav, who were tried out after the Champions Trophy in England two years ago and had proved to be successful, got picked. Experienced off spinner Ravichandran Ashwin thus lost out. “In the team, we have the luxury of seven bowlers. We have covered all the bases and this is one of the most balanced Indian sides for the World Cup,” remarked Prasad confidently. Hardik Pandya and Ravindra Jadeja are in the squad as not mere bowlers but genuine all-rounders. 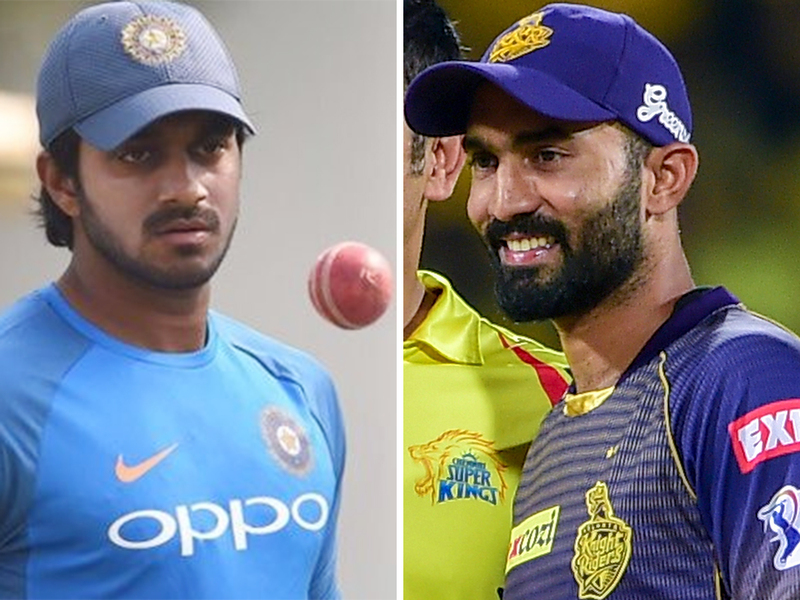 The chief selector revealed that pacers Khaleel Ahmed and Navdeep Saini were also discussed as backup pacers and now will be on standby and flown down to England if the need arises. It is also understood that four extra fast bowlers will travel with the team to bowl in the nets and be as standby in case of any injury. The bowlers haven’t yet been named. The talk about whether an ageing Dhoni should be the first wicketkeeper too ended as selectors consider him as a reliable batsman too. In fact, Dhoni had silenced all critics with fifties in three ODIs in Australia and bagged the man-of-the-series award. 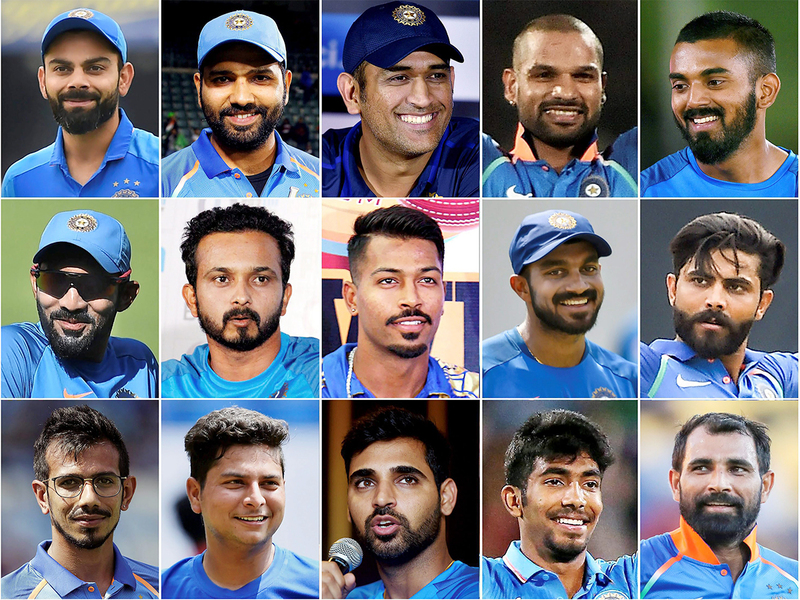 Virat Kohli (c), Rohit Sharma, Shikhar Dhawan, KL Rahul, Vijay Shankar, MS Dhoni, Kedar Jadhav, Dinesh Karthik, Yuzvendra Chahal, Kuldeep Yadav, Bhuvneshwar Kumar, Jasprit Bumrah, Hardik Pandya, Ravindra Jadeja and Mohammad Shami.